This book tells the fascinating story of a remarkable vessel with prehistoric origins: the Boyne currach. Well-informed and imbued with stories from around the globe, it is written in an energetic and accessible style, reflecting the author’s love for these boats. It is a pioneering piece of work that throws new light on an ancient Irish craft. An overview of the history of the Boyne currach and related skin boats is followed by a how-to guide with instructions on how to build your own currach, including the materials needed, where to source them and how to master the age-old techniques of weaving and binding. With so few currach-makers left, the author hopes to preserve this craft for generations to come. The final section of the book details the Newgrange Currach Project, at 34ft in length, this wicker currach represents an incredible feat of boat engineering and a piece of living history. On completion, it will embark on a journey mirroring that believed to have been taken by the Neolithic tomb-builders, travelling as far south as Spain. 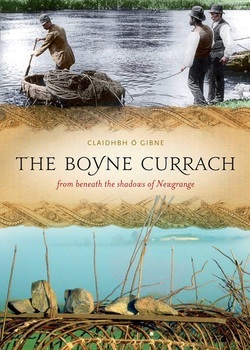 Proceeds from this book go directly towards the various projects that the Boyne Currach Heritage Group are involved in.